EcoLogic was technical consultant to the multiagency team that completed the the Conesus Lake Watershed Management Plan. Our first year tasks included developing a monitoring plan, preparing a watershed characterization report / state-of-the-lake report, and recommending specific remedial actions to control point and nonpoint sources of pollution. Second and third year tasks included analyzing water quality problems and causes of impairment, prioritizing areas by subwatershed, identifying alternative nonpoint source controls, public outreach, and preparing a watershed management plan. The plan culminated with a series of specific recommended actions for improving water quality and habitat conditions throughout the 75-square-mile watershed of Conesus Lake. EcoLogic provided technical support to the Livingston County Planning Department during the implementation phase of the project. We designed monitoring programs, organized researchers, prepared technical sections of grant applications, and prepared materials for public education and outreach. In 2011, the Conesus Lake Watershed Management Plan was awarded the American Planning Association Planning Excellence Award (NY Upstate Chapter) for Implementation. 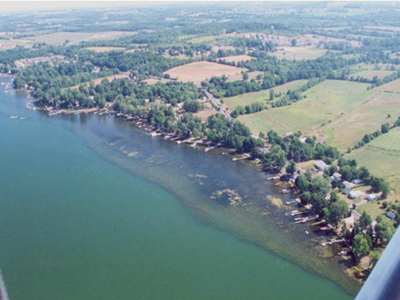 As many of the recommendations from the management plan were implemented after it was published, EcoLogic prepared a Conesus Lake Watershed Characterization Report Update in May 2013.